Larson discussed a new piece of legislature called “For the People Act” or H.R. 1 that was introduced in Jan. 2019. H.R. 1 covers big money in politics such as “dark money” and “special interest” money, expanding opportunities for more citizens to be able to participate in future elections. This can be done by making election day a holiday for federal employees and encourages businesses in the private sector to do the same, as well as a wide range of ethical issues. Larson explained that H.R. 1 has been overshadowed and relatively ignored due to the 35 day government shutdown that began in January and is worried that the same thing might happen again with the threat of another government shutdown projected to begin on Feb. 15. Kris LaGrange, head of UCOMM Communication, spoke about Amazon’s HQ2 in New York City during his time on AWF. He discussed Amazon’s vice president refusal to remain neutral if Amazon’s employees decided they wanted to unionize and how it has created concerns among NYC elected officials. NYC Mayor Bill de Blasio responded to that comment, saying that there will be pressure for Amazon to allow their employees to unionize and that he will also contribute to the pressure put on Amazon. AWF host Ed “Flash” Ferenc talked about the Denver teachers strike, which is the first strike in Denver in over 25 years, that was influenced by the pay increase and what they want done with their bonuses. 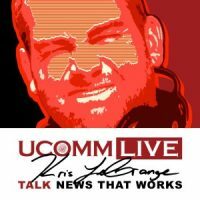 Kris LaGrange, head of UCOMM Communications, discussed Kentucky Governor Matt Bevin threatening the state’s teachers union during his Nov. 29 appearance on America’s Work Force Radio. Earlier this year, LaGrange said Gov. Bevin’s called the Kentucky Education Association (KEA) thugs, in response to Kentucky teachers protesting changes to the state’s pension system. He also claimed the protests would lead to an increase in children being sexually abused in the state. LaGrange called Bevin’s remarks inappropriate and unprofessional. On Nov. 14, Bevin spoke to the Kentucky Association of County Officials and said, “… Breaking the backs of the teachers union in this state as the controlling interest in Frankfort is going to be one of the best things that ever happened for Kentucky.” LaGrange also talked about Rep. John Faso (R-N.Y.), who is pressuring the Transportation Department to withhold funds from big projects in New York until the Scaffold Law is repealed. The second guest on America’s Work Force Radio was Jvonne Hubbard, author of White Sheets to Brown Babies. Hubbard spoke about growing up with a father who was heavily involved in the Ku Klux Klan. Her father was a Grand Dragon and tried to force his lifestyle and hateful activities on her. Hubbard talked about her brave journey, how she separated herself from her father and the Klan and how it shaped her into the strong woman she is today. Ed “Flash” Ferenc, AWF host, discussed General Motors shuttering their Lordstown, OH plant and the tariffs on China.